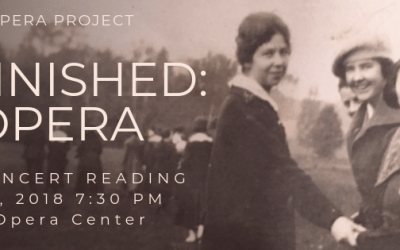 On October 7, 2018 Vital Opera presented a concert reading of Joshua Groffman and Sarah Heady’s Unfinished: An Opera, featuring newly added material, at the National Opera Center in New York City. 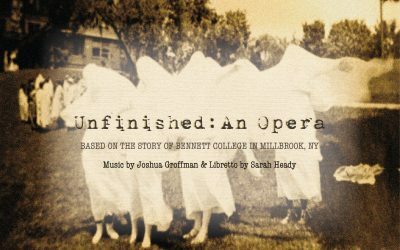 Unfinished is a new opera in development from composer Joshua Groffman and librettist Sarah Heady based on the story of now-shuttered Bennett College in Millbrook, NY, exploring how Bennett is remembered, and forgotten, today. 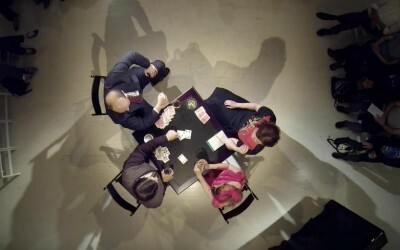 In April 2015 we premiered Four Hands of Bridge, an experimental evening featuring four consecutive performances of Samuel Barber’s A Hand of Bridge. This brief, yet intense opera explores themes of consumerism, marital infidelity, the loss of a loved one, and isolation in modern society. 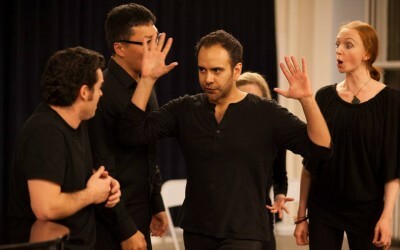 Our artist development workshop on Le Nozze di Figaro in November of 2013 was an opportunity for a group of nine singer-actors to delve deeply into the music, text, plot, and characters of Mozart’s Le Nozze di Figaro (The Marriage of Figaro). 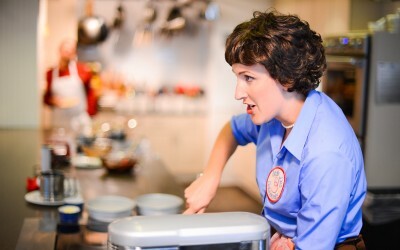 In August 2012 we presented An Edible and Musical Birthday Celebration for Julia Child in honor of Julia Child’s 100th birthday.